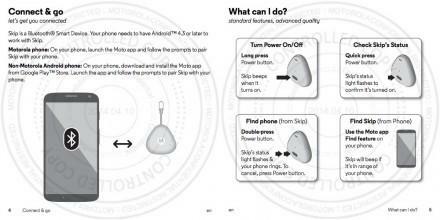 Last year when Motorola unveiled the Moto X it also announced an NFC clip, called the Skip, that is capable of unlocking your phone automatically with a simple tap. Now, with the Moto X+1 expected to debut as soon as next week, it looks like the company is ready to unleash an updated version of the Skip with a fresh design and a few new tricks. 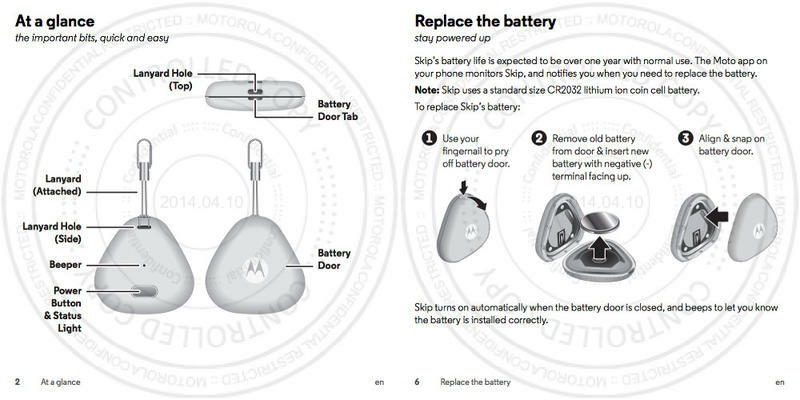 The new Motorola Skip recently passed through the FCC where it was spotted by Droid-Life. The new design is a huge departure from last year’s version, switching the clip mechanism for a simple plastic triangle that attaches to your keychain with a built-in lanyard loop. Skip can still unlock your phone, but it’s also been updated to help you find your phone by double-tapping on the device’s only button. 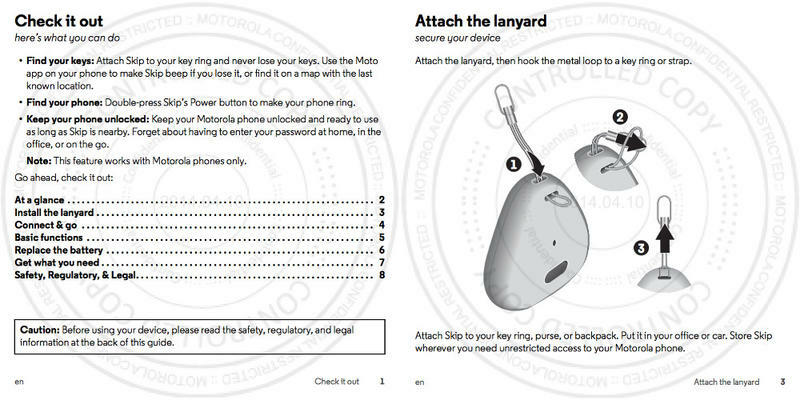 It works the other way too, so you can use the your phone to find your keys as long as the Skip is already attached to them. Just don’t lose both at once. There’s no official word on when the new Skip will launch, but we’re guessing it will appear alongside the Moto X+1 next week. We’re also hoping the updated model will add support for cheaper devices like the rumored Moto G2, since the original Skip only works with Motorola’s more flagship devices, like the Moto X, DROID Mini, DROID Ultra and DROID MAXX.